Luxury 2 bed apartments with roof top pool & sea view - Property for sale. Full Description: Last remaining apartment!!! These exceptional luxury apartments are located within walking distance of the Marina, riverside and centre of Lagos. 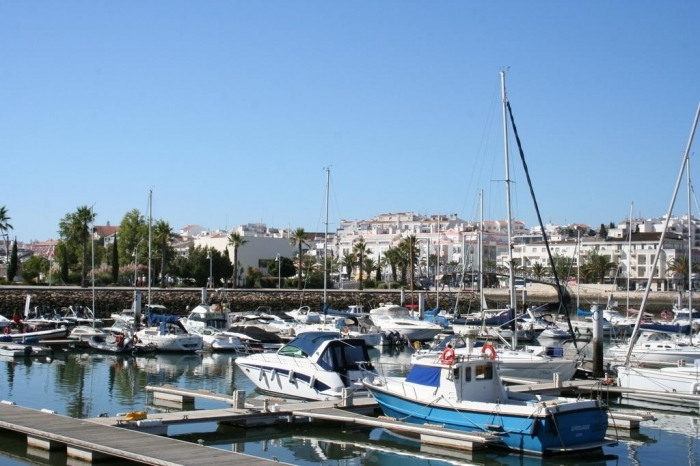 As one of the most important cities in Portugal's long history, Lagos has developed into one of the most popular destinations in the Algarve both for permanent residence and holidays and is regularly nominated for awards. Each of the 22 apartments is finished to a very high standard and accommodation comprises hallway, lounge/dining room, fully fitted and equipped modern kitchen with leading brand name appliances, bedrooms with fitted wardrobes with wood or tiled flooring, spacious bathrooms including an en-suite with Jacuzzi bath. All apartments benefit from electric shutters, double glazing, spot lights, pre-installation for air conditioning, built in digital safes and much more. What really sets this property apart is the spectacular roof terrace with views across Lagos towards the sea plus a roof top pool with gym, changing rooms, recreation area where each apartment has its own space for sun bathing with two chairs and even a mini fridge is provided. Parking is either a reserved space or private garage. The prices reflect current market conditions and provide excellent value for the discerning buyer looking for either a holiday home or longer term residence with investment potential. Viewing highly recommended.